Wash tomatoes. Slice them 1/4 inch thick. Place them on baking dish. Sprinkle salt, pepper on one side. 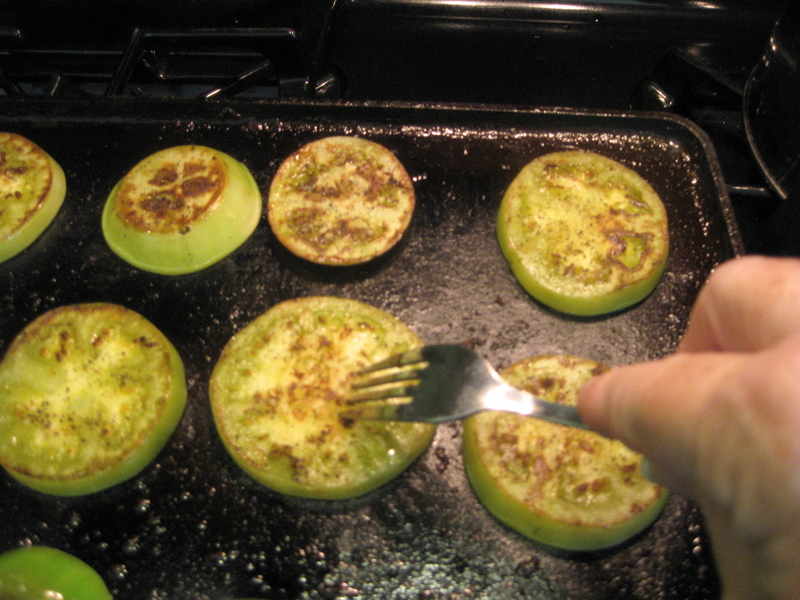 Heat your griddle to medium-high. When it’s ready, place raw bacon slices to cook. Allow at least 3 pieces per sandwich. When crisp, move to paper towels to soak up grease. 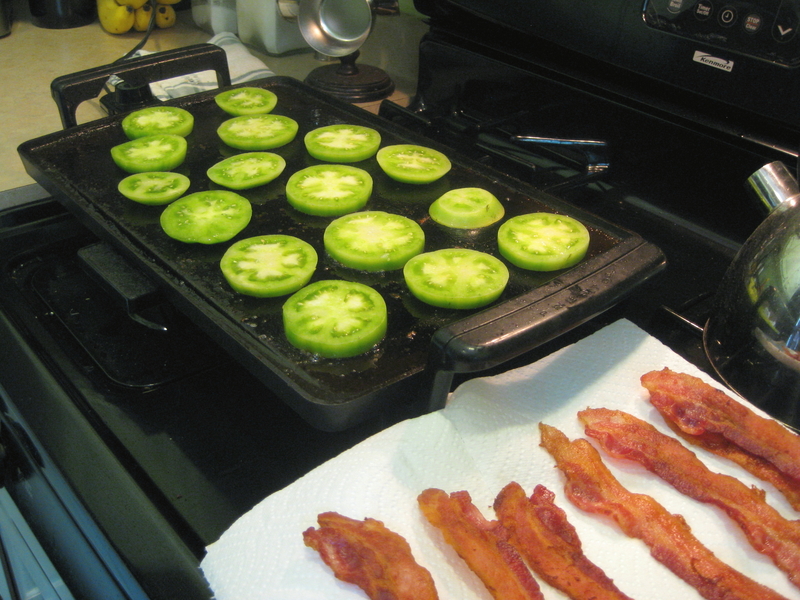 Wipe your griddle slightly, but leave some of bacon fat for flavor. 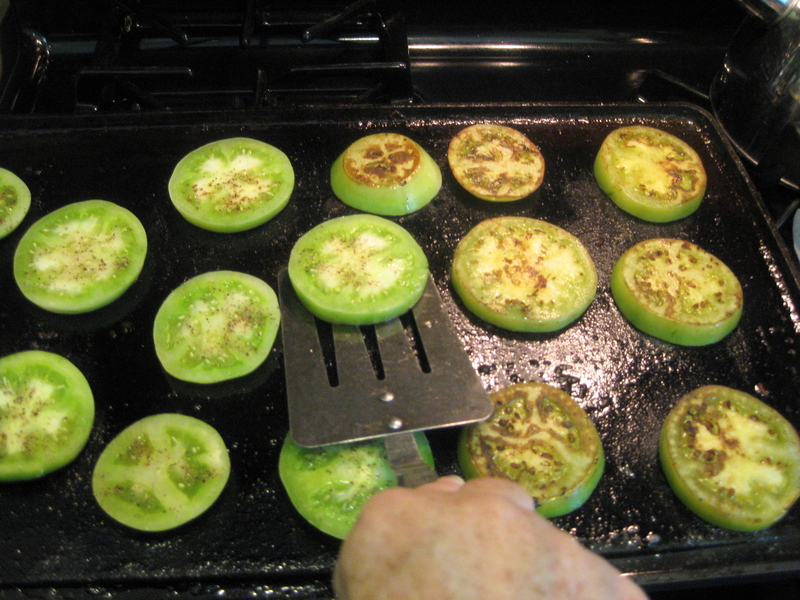 Place tomato slices onto griddle. Set timer for 5 minutes. This ought to be enough time to brown one side. After about 3 minutes, stick a few with a fork to feel how well they are softening. You don’t want them mushy but you want them cooked. Remove when done. Set aside on plate. Toast bread. 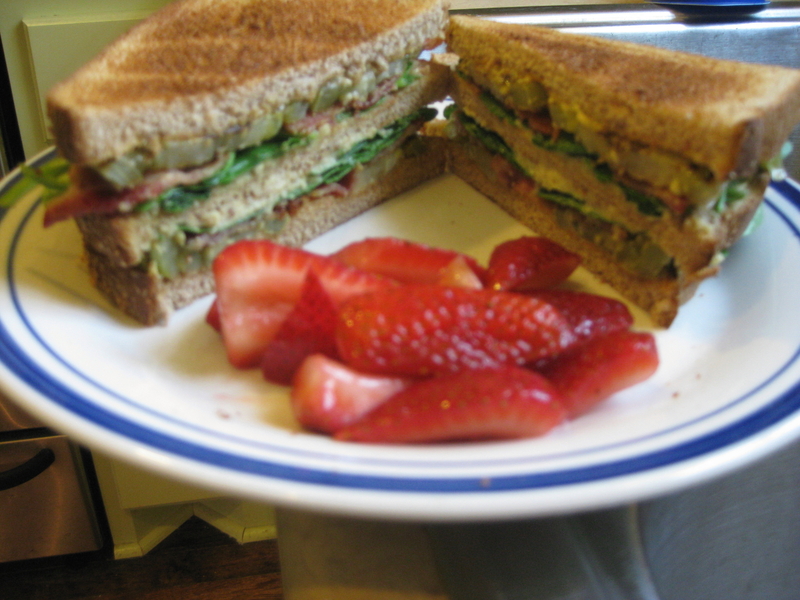 For generous, three-decker sandwich, spread mayo on inside of the top and bottom toasted slices. Spread hummus on both sides of center toast. 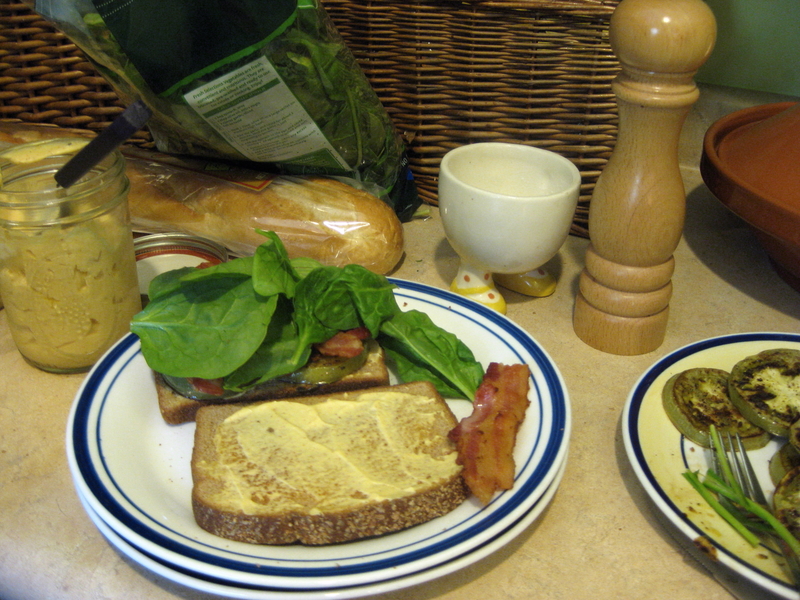 In layers on the sandwich, stack green tomatoes, bacon and shredded lettuce or spinach. Top with hummus toast, then repeat second layer. My son advises to allow the sandwich to “rest” a minute or so, which may make it unnecessary to insert toothpicks. With your bread knife, cut sandwich into four squares. Serve with whatever side makes you happy. You may not need much, though. This sandwich is hearty.